Distributors: 10486137/8 - Secondary 8mm Spark Plug Lead Kit V-6 and V-8. from California Marine. 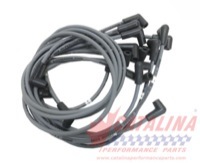 Description Secondary 8mm Spark Plug Lead Kit V-6 and V-8.